Losing your personal mobility, or just having your personal mobility limited, is obviously unpleasant and can be a huge lifestyle adjustment. The good news is, we are living in a time when there are several options available to help manage those mobility issues. You may read about things like stair lifts and think those things are too clunky or are only used in businesses or retirement homes. You may hear about home elevators and assume such an elevator is not feasible for your home or that those things are only for “rich people”. Don’t make those assumptions without educating yourself on what your choices really are. 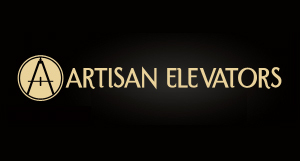 You may discover a chair lift or residential elevator would be perfect for your home. First off, it can help you regain freedom. If you are deciding between a stair lift and a home elevator, determine your real needs. A stair lift can help a person who uses a walker or cane move between floors. It may not be as helpful to a person who uses a wheelchair. However, some home elevators may have a cab that can accommodate a wheelchair. And the cost of the home elevator might be less than you think. Residential vacuum elevators require no hoist-way or machine room, making them ideal for home use. Stair lifts come in several different models. 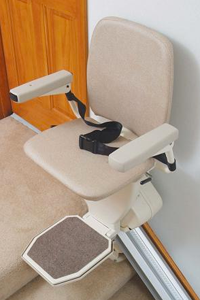 There are stair lifts designed to work indoors or outdoors. There are also stair lifts that are designed to work on curved stairways.